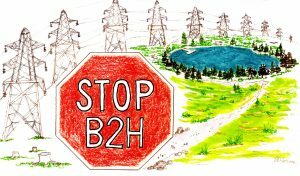 The Stop B2H Coalition is a non-political, grassroots organization of nearly 400 individuals and a growing number of member organizations. Our purpose is to fight the proposed B2H transmission line through NE Oregon. 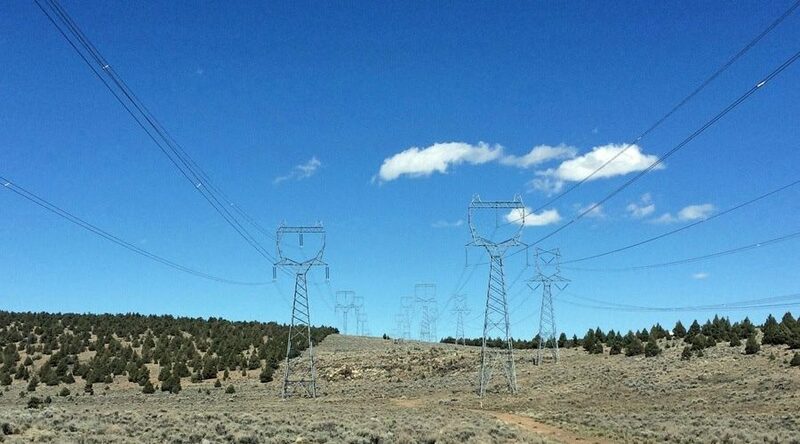 B2H is a 500 kV line that will connect Boardman, OR to Hemingway, ID. 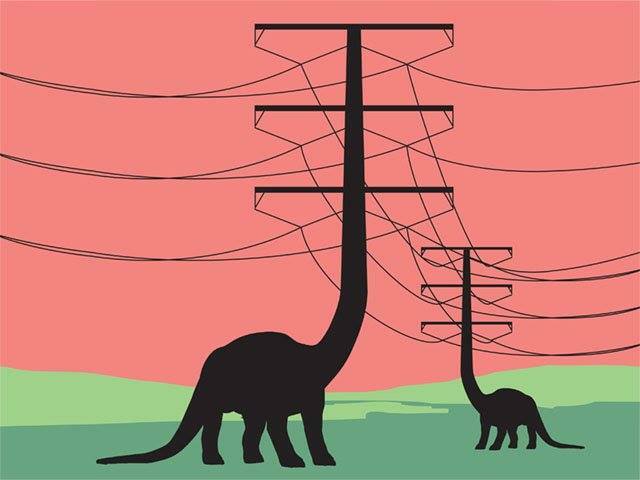 This line will consist of 1200 towers as high as 200′, spanning 305 miles, and requiring a minimum 250’-wide clear cut. Want to know more? Read this overview. 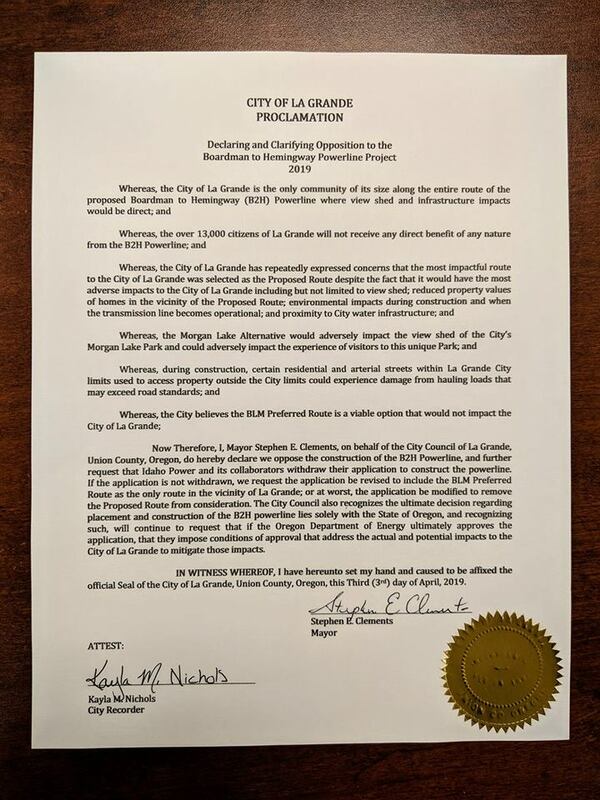 The La Grande City Council has issued a proclamation opposing the construction of the B2H line. Thanks to City Council members and to Ashley O’Toole for making this happen! Recent news coverage in the La Grande Observer. The Stop B2H Coalition is a 501c3 nonprofit organization, registered in the State of Oregon.